Check out videos of the winners and pictures from the event. There was much cause for celebration on November 15 as CIPL celebrated the 2017 Cool Climate Awards event, its 11th year for honoring outstanding faith communities in the fields of green building, energy efficiency and water conservation, climate education, and climate advocacy. Awards were presented by emcee Oakland City Councilmember Dan Kalb and CIPL President The Rev. Sally Bingham. See videos of the winners here. 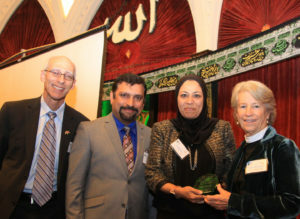 The ceremony took place at the beautiful Islamic Cultural Center of Northern California in Oakland. Attendees dined on vegetarian food, and enjoyed musical entertainment by The Austin Hurst Singers. Information about electric vehicles and solar power financing for congregations was also shared. There were many inspiring moments in the event. 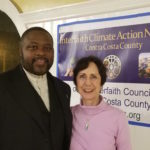 Councilmember Kalb, in presenting the award for Climate Advocacy to Rising Star Missionary Baptist Church in Fresno, mentioned the “No Coal in Oakland” campaign and how crucial it was for people of faith to have a say in policy-making. Rev. B.T. Lewis of Rising Star, in accepting the award, highlighted the work his congregation does in partnership with strong advocacy groups, such as Concerned Citizens of West Fresno and the Leadership Counsel for Justice and Accountability. He also brought up the many disparities that exist within the city of Fresno itself in terms of health impacts. “I die twenty years earlier than my counterparts in North Fresno because I live and work in West Fresno,” Pastor Lewis stated. But this is one of the reasons, he went on to say, that the City has adopted a new industrial zoning plan to avoid the dumping of toxins that partially lead to this expected life difference and many other health issues. 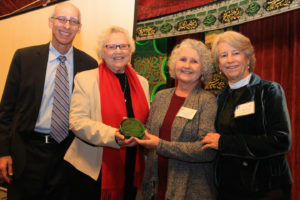 Another highlight of the evening was the Laudato si’ award, given to the Catholic Diocese of San Diego for its exemplary work with solar energy. 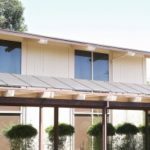 In 2015, after hearing of the benefits of solar energy and influenced by Pope Francis’ encyclical on “caring for our common home,” Bishop McElroy embraced a campaign for energy efficiency and renewable energy for parishes and schools in the diocese. 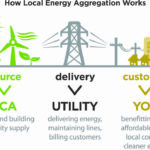 Thus far, 34 solar systems have been completed, two more projects with signed contracts are underway, and another 20 locations are in the contract vetting process. Among the properties that have gone solar are some of the largest solar arrays for high schools in the country: Mater Dei has systems equaling 775-kilowatts; Cathedral High School has systems equaling 1,176-kilowatts, and at the headquarters of the Diocese itself, a beautiful 200-kilowatt solar carport generates renewable energy, while providing valuable shade on hot days. In giving the award to Church Divinity School of the Pacific for Green Seminary, The Rev. Sally Bingham reflected on her time there in the 1990’s. “When I started talking about environmental care from a faith perspective, it was like I had just grown horns,” she stated, in the way people responded to her. However, after some time, Rev. Bingham’s ideas took hold and environmental care has become a natural teaching theme of many Episcopalian seminaries. The Very Rev. 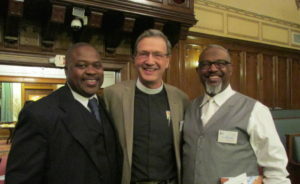 Mark Richardson, responsible for the solar array on the CDSP, believed to be the largest on any seminary in the United States, stated that there needs to be a resurgence of public discourse in faith communities and organizations where climate solutions can be worked on and implemented. Despite the current federal administration’s reversal on the Paris Agreement and clean energy policies, everyone in attendance knew of California’s and the US’s continued commitment to – and action on – climate change. “I am proud that our state and our congregations are leading the way by showing the world that we will not abandon our moral obligation to act on climate – regardless of what the current administration in Washington says. Faith communities bring a moral voice to this issue that is unifying, hopeful, and cuts through the partisan divide,” she continued. From the actions demonstrated by the faith communities in the room, the California faith efforts on climate remain strong.